All of our dinners are served with a mini loaf of bread and your choice of seasoned French fries, rice, mixed veggies, mashed potatoes or a baked potato (after 4pm) and our soup of the day or a one-trip salad bar (unless otherwise noted **). Our house specialty! Available Friday & Saturday night starting at 4pm. 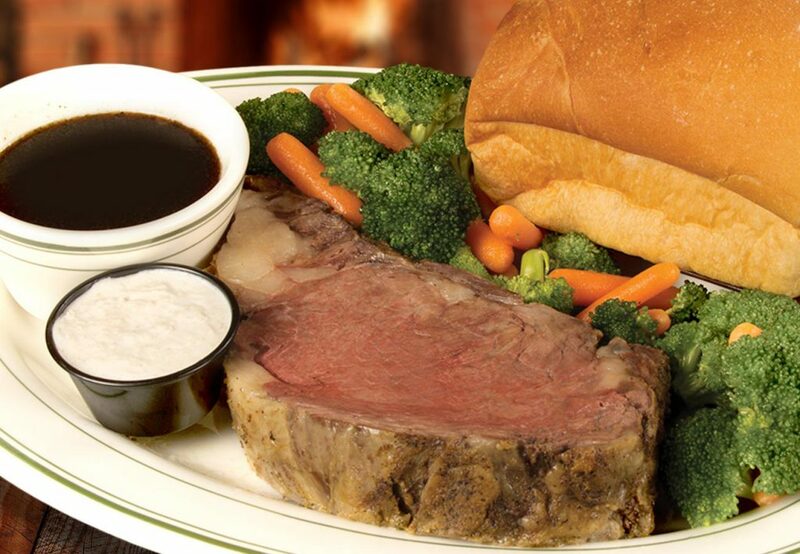 Tender aged prime rib is slow roasted and carved to order. A generous 12 oz. cut of tender aged ribeye lightly seasoned and charbroiled to order. Our house specialty pot roast with mushrooms, sautéed in butter, then swirled with sour cream and served over noodles. 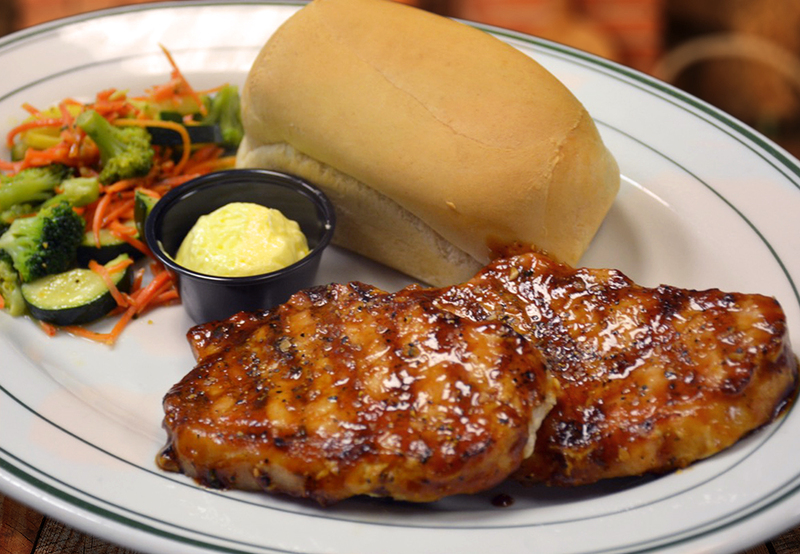 Served with garlic cheese bread and your choice of soup or salad. A 10 oz. sirloin steak made to your liking. Served with a side of whiskey dipping sauce. Tender liver with crisp bacon and sautéed onions. 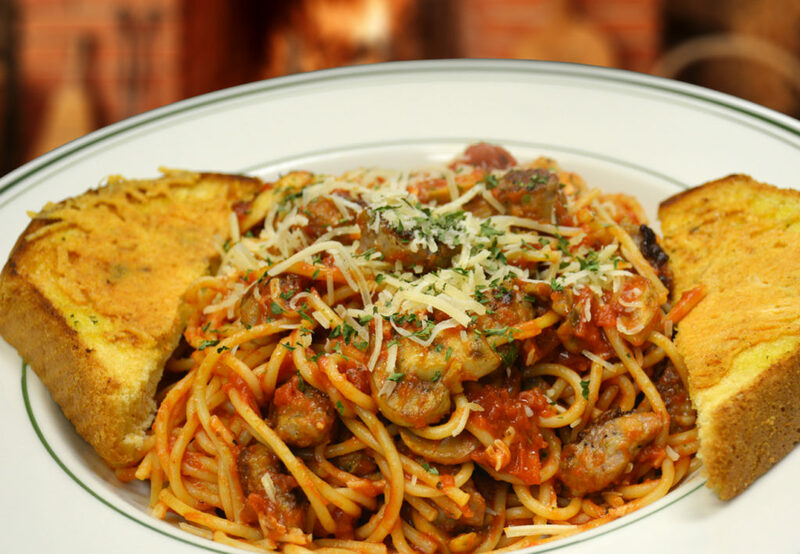 Our Italian sausage tops a Lumberjack size portion of pasta smothered in hearty marina sauce with sautéed mushrooms and sprinkled with fresh grated Parmesan cheese! Served with toasted garlic cheese bread. Nearly half a pound of lightly seasoned and breaded beef steak, fried golden brown and served with our own country gravy. A half pound of tender hand carved slices of turkey breast with savory cornbread stuffing and rich turkey gravy. Served with your choice of any two sides, mashed potatoes, baked potato (after 4pm), rice pilaf or vegetables, and bread (unless otherwise noted). 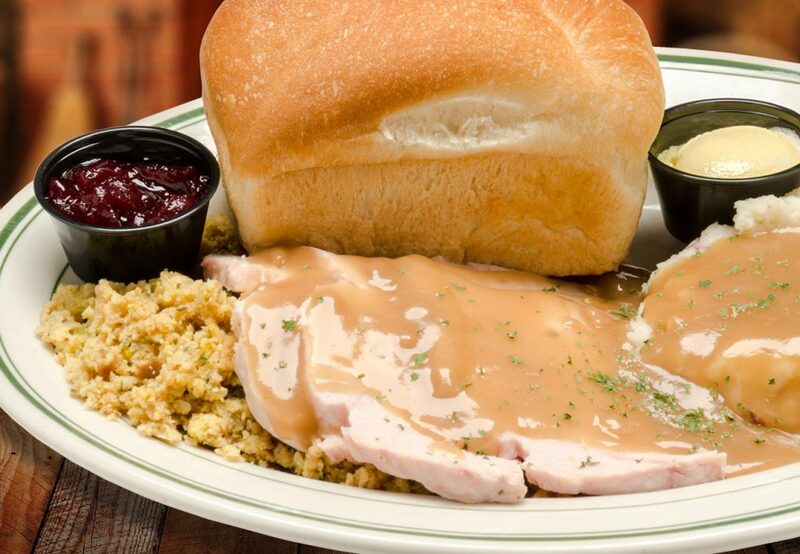 A smaller portion of our hand-carved turkey dinner, served with stuffing. 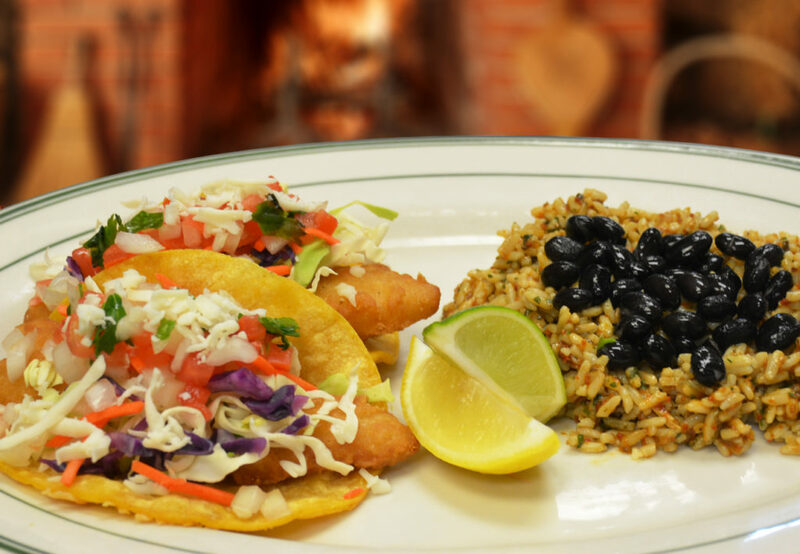 Make it a meal with two Parmesan grilled corn tortillas filled with breaded and deep fried Cod fillets, a fresh cabbage medley and pico de gallo. Tacos are drizzled with our special southwest Chipotle Ranch sauce and topped with Mozzarella cheese. Served with black beans and a flavorful rice pilaf.